Notice who Sarah blamed for her inability to have children. She blamed God. Now the Lord had told these two on numerous occasions they were going to have a child of promise. Since the Lord’s word had yet to come to pass… it was totally God’s fault. In Sarah’s mind God was working behind the scenes preventing her from having children. The truth was God was working on the character of Abraham and Sarah so that they might value and cherish the child He provided. It is one thing to receive a promise from God. It is another thing to keep or maintain a promise from God once it is provided. The problem was Abraham believed the voice of Sarah over the words God had already spoken to Him. 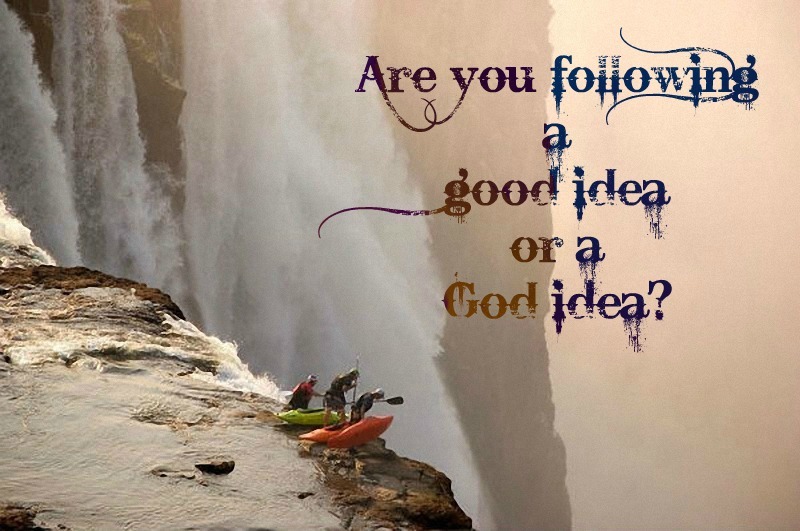 He traded “God’s Idea” for a “good idea“. The truth is God does not need our money, our presence, or our help to continue His work. If the Lord’s work is dependent upon us, then it is probably not the Lord’s work. He simply invites us to join Him and work alongside in faith where He is already moving. If His will is dependent upon us moving in the flesh to accomplish His tasks, then we are the ones who will get the glory. When we truly follow the Lord’s plan and will, He receives all the glory. Who are you working for today?